This recipe is really easy to pull together and there is NOTHING better than homemade blue cheese. (No, seriously, I was eating this dressing by the spoonfuls…it’s that good). It’s the perfect partner for burgers, dogs, or anything else you are grilling up this summer. 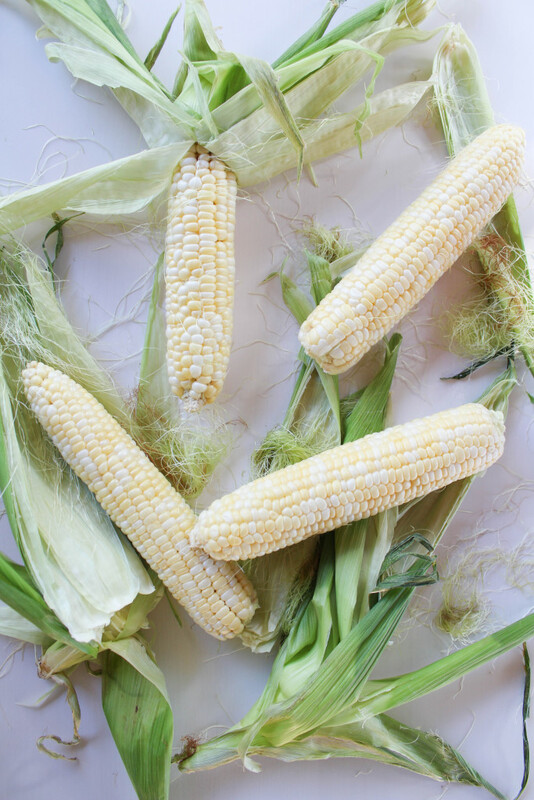 First, shuck your corn and then cook. You can either boil your cobs (about 12 minutes in boiling water) or grill them on the bbq. Whichever you prefer. 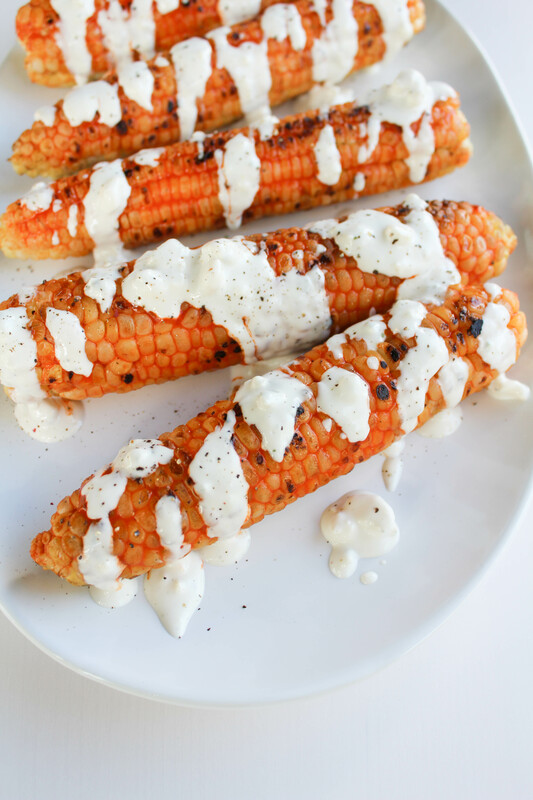 While your corn is cooking, combine your hot sauce, butter, vinegar, worcestershire sauce, cayenne pepper, garlic powder and salt in a pot. Place over medium heat and bring to a simmer, stirring occasionally. As soon as your sauce begins to bubble, remove from heat and set aside. 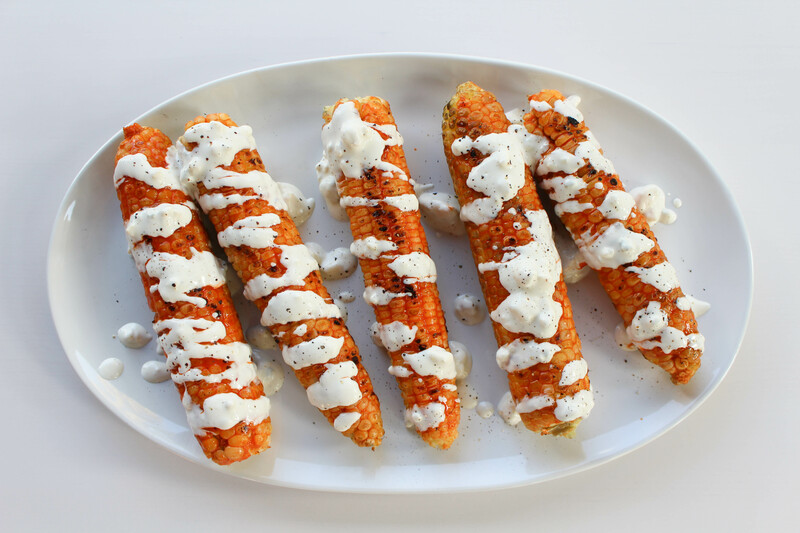 In a separate bowl, combine the mayo, buttermilk, sour cream, and worcestershire sauce. Mix well and then add in the crumbled blue cheese. Stir well, mixing in all of those yummy chunks! Chill in the fridge until ready to use. Once your corn is ready, use a basting brush to coat your corn with buffalo sauce. 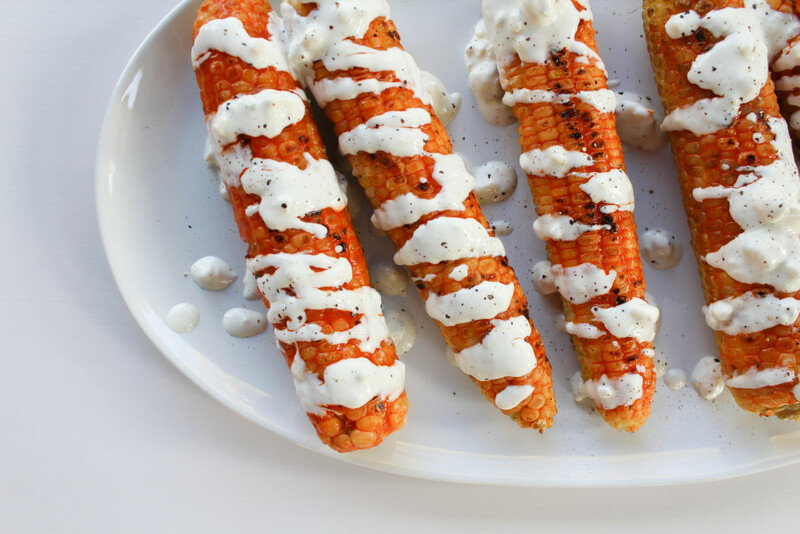 When you have a good coat of sauce, top with the blue cheese dressing. You can drizzle on top or coat with the basting brush. Either way, it’s delish! 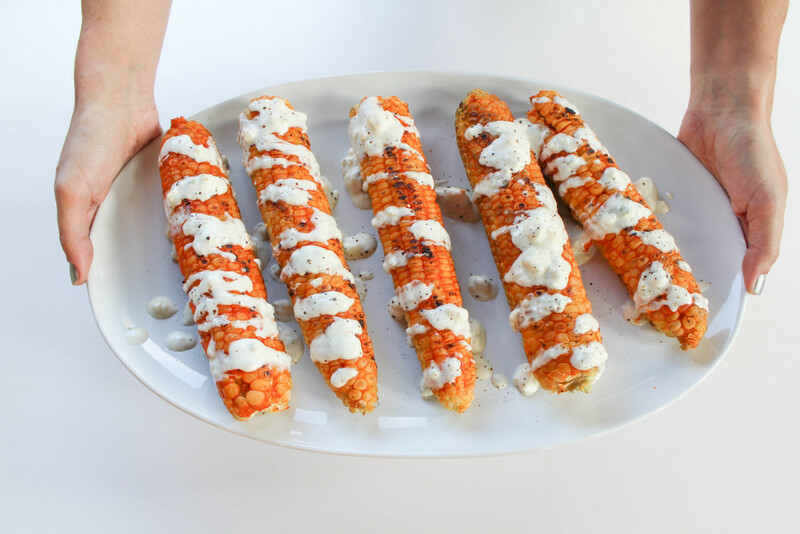 Keep in mind that this buffalo and blue cheese corn on the cob can be a bit messy to eat, but they are soooo worth the mess! 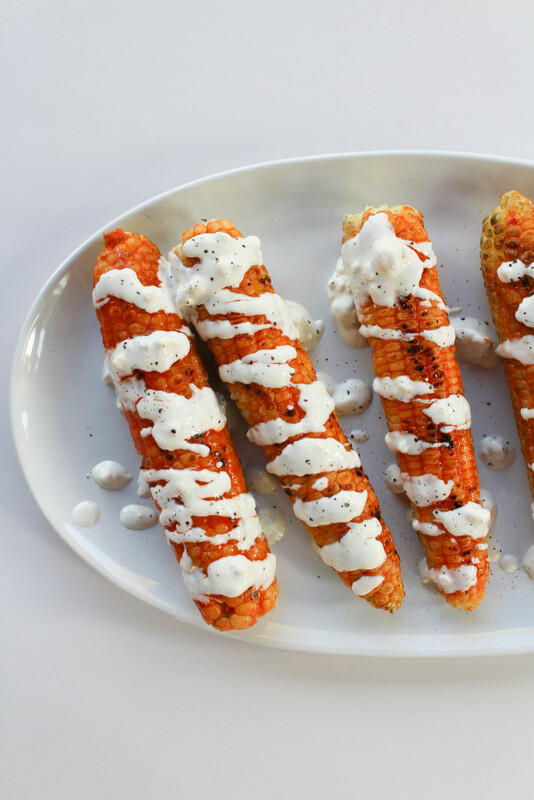 The perfect bite of buffalo paired with the cool and tangy blue cheese. Yum!